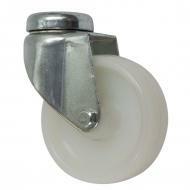 Our light duty range of bolt hole castors are a versatile and budget range of castors that can pack a punch! This range of castors include our best selling FS Series bolt hole castors and our 310 Series of Institutional bolt hole castors. 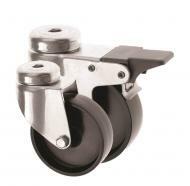 These light duty bolt hole castors have a single bolt hole for attachment rather than a square top plate top plate. Ideal for attaching to trolleys, equipment, tubular furniture legs and display stands, with either an M8 or M10 bolt. 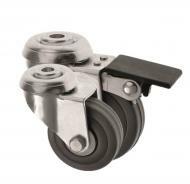 You can choose either a 50mm black plastic or rubber castors housed in a medium pressed steel housing. Bolt hole castors are small and strong. The general rule of thumb is to choose a softer rubber wheel on a hard floor surface and a harder plastic wheel for a soft carpeted floor. 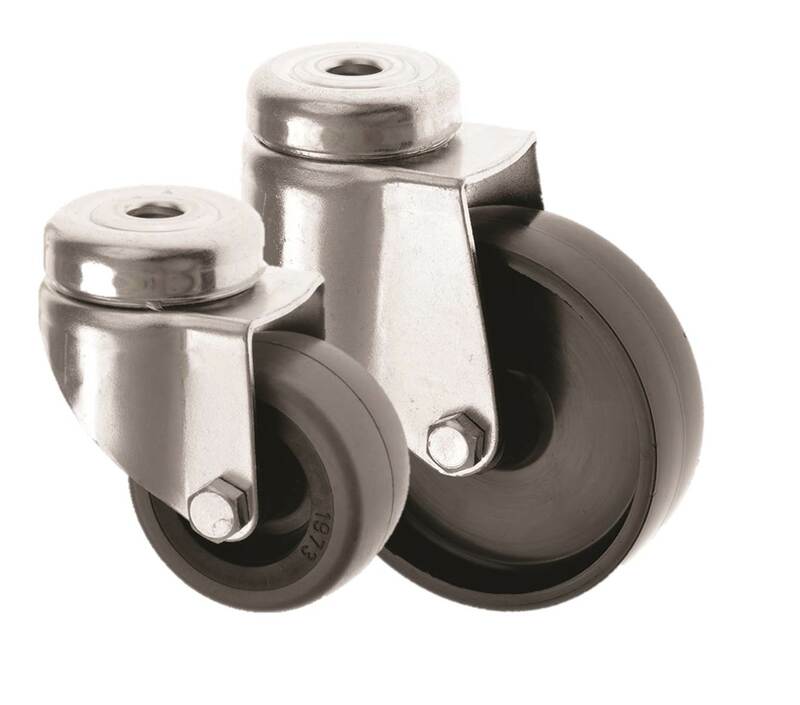 These light duty castors can be supplied either with or without brakes and are popular for a wide range of furniture, equipment, trolleys and display cases. 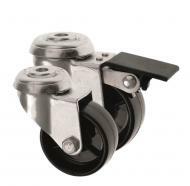 If you need the castor to take more weight you can move up to the 310 Series and choose from black plastic and grey non marking rubber castors from 50mm diameter wheels up to 100mm in diameter. These versatile bolt hole castors from our 310 Series can be teamed up with our tubular adaptor accessories for attaching castors to hollow round or square tubing, and can be supplied either with or without a brake. 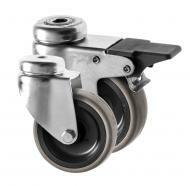 A verstaile and light duty range of bolt hole castors!